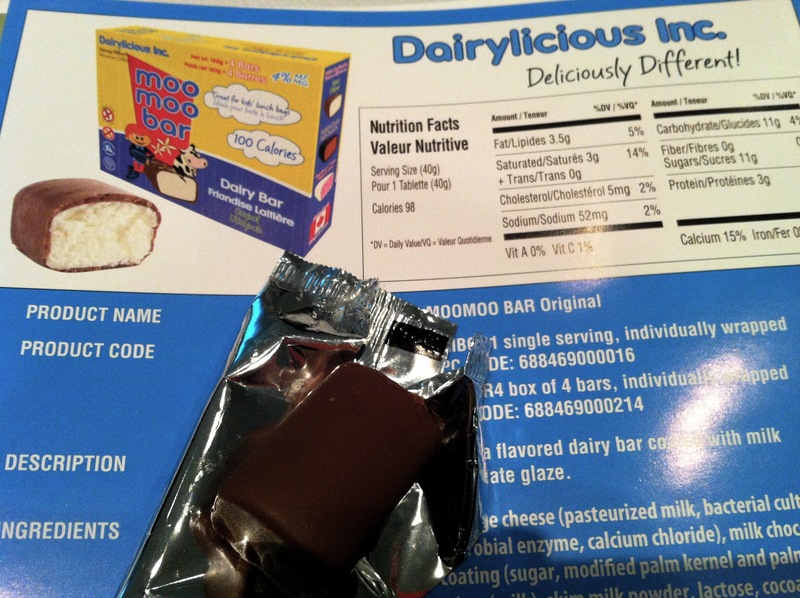 Last week at the Canadian Food Summit 2012 I was fortunate enough to get a sample of the new Moo Moo Bar from Dairylicious. Now, I’m not sure if you get the full picture in the photo above so I’ll lay it out for you here as well. This bar is made from cottage cheese and is “great for kids lunch boxes”. Yes, great if you want to send your child to school with a 100 calorie bar (that’s a whopping 1.5 inches long) containing 3.5 grams of fat (3 of which are saturated) and 11 grams of sugar. Here’s the full spec sheet for the original bar. In case you were wondering, that’s a LOT of sugar and fat for about one bite. For the sake of science I took a tiny little bite from the end. I thought “this isn’t that ba… OMG THAT’S SWEET!” It took me several swigs of water to eliminate the residual sweetness from my mouth. So, if you want to feed your child a high sugar, energy-dense diet to promote obesity and tooth decay then why stop at popping just one in their lunchbox? Why not just give them a whole box for lunch? After all, you can never get too much of a good thing, right? 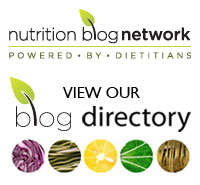 Tags: children, moo moo bar, nutrition, school lunches, sugar | Permalink. Where cam I buy them?